Laboratory grown diamonds have the potential to become the best “conflict-free” alternative to original precious gems, as these man-made rocks are gathering momentum in the high-end jewellery world, says Clive Hill, founder and president of Washington Diamonds. The executive, whose company launched U.S.-made lab-grown diamonds in late September, told MINING.com he is positive about the acceptance of these gems in the market. “There are no obvious differences between mined and lab-created stones as they are chemically and structurally the same,” he says. The company’s Chemical Vapour Deposition (CVD) gems are certified by the American Gem Society (AGS), an association comprised of the top jewellers in the U.S.
“Most experts cannot tell the difference. However, we promise that all of our diamonds will be 100% disclosed,” Hill states. A clear difference, however, is the price. Washington Diamonds lab rocks cost —in average— 25% less than mined diamonds. Currently man-made stones are used mainly in industrial and high technology applications, but they are finding increased acceptance in the consumer world, as the public becomes more aware of the corrupt and often deadly nature of the diamond trade. 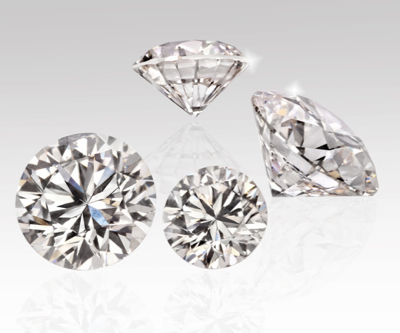 In labs, diamonds are being produced either through high-pressure high-temperature situations, a process called HPHT, or through CVD, such as the ones Washington Diamonds is generating. A CVD diamond is grown from a small diamond seed, which adds vaporized carbon atoms one by one to create a larger diamond. Man-made stones are nothing new. Financial Times reports (subs. required) that General Electric created lab­diamonds in 1950s, presumably for commercial use. But it wasn’t until 1970 that the firm was able to produce gem-quality diamond crystals. “The stones were always yellow to brown in colour as a result of nitrogen contaminations. Further, plate-like inclusions were common,” says the report. After years of research, The De Beers Diamond Research Laboratory, founded only a year after the company’s launch, grew stones of 25 carats, but found later that the lengthy procedure made their production rather unsustainable. Gemesis, a 16-year-old company based in Florida, has produced thousand styles of lab-grown diamonds. This company, certified by the International Gemological Institute, is an example of the potential that lab-made diamonds have. In an interview with JCK magazine last year, Lux said that some sellers of cubic zirconia call their products “synthetic diamonds” even though they are not. “We see ourselves as part of the industry and hope the trade realizes that years from now, when there is less supply of mined stones, people are going to want these,” he told JCK. For economic reasons, lab-diamonds are currently grown to only 1 to 1.5 carats, but Hills says its stones can reach higher carats. “We have been perfecting the CVD process for over 15 years [thus now] we can produce a diamond in just a few weeks and —so far— the highest carat produced has been 2.3 carats after cut and polish,” he says. Washington Diamonds’ white gems will be distributed exclusively on the Internet through leading global distributors and partners. Image: Lab-made diamonds by Washington Diamond.